Kaihua Box Reds are almost indistinguishable from Cherry MX Reds. Slider scratchiness, which is slightly greater than or equal to pre-retooling MX Reds and Blacks, is present. Reduced contact noise (rasping) and minimal contact tactility make the switch a viable competitor in the marketplace. 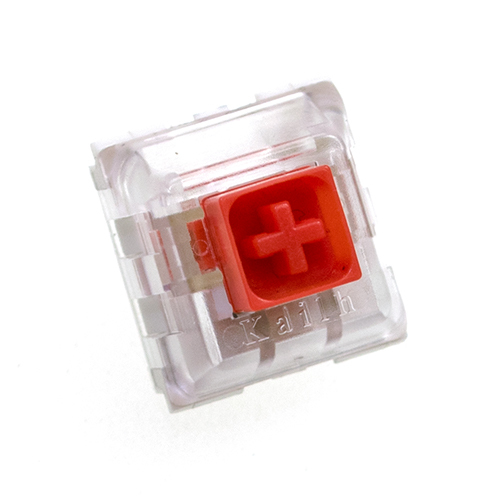 These linear switches also avoid the contact-related metallic sounds and spring noise commonly found in Cherry clones. Box Reds implement all general switch improvements from their series. Per switch drainage, isolated contacts, and reduced stem wobble contribute to a solid platform. Box switches with click bars seem to exhibit more smoothness than tactile and linear variants. A number of variables may contribute to that impression, so further investigation is necessary.